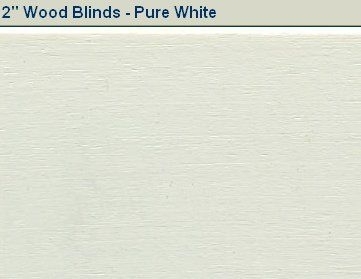 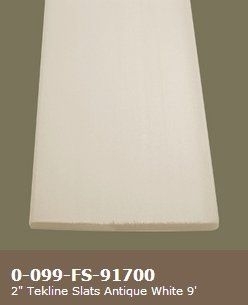 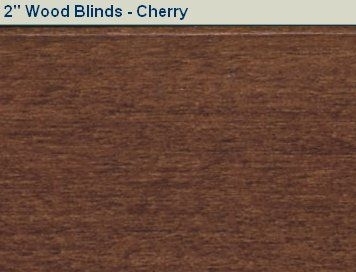 Width62"xHeight 28.5/8" =$238 Price Example: 72" x 36"=$343.00 Detailed Description for 2 Inch Real Wood-Fixed Arch Blinds So many options exist for those looking for window treatments. 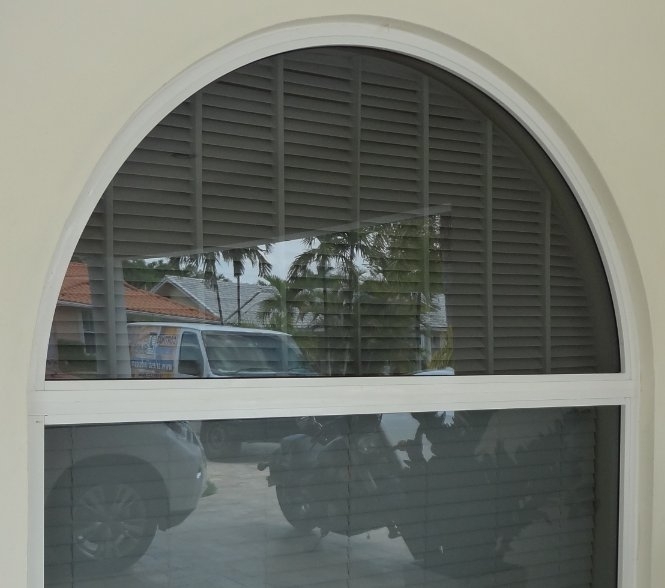 It gets tricky when there is a non standard window to work with, though, like an arched window. 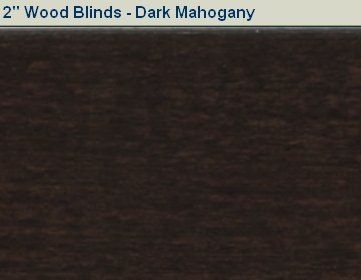 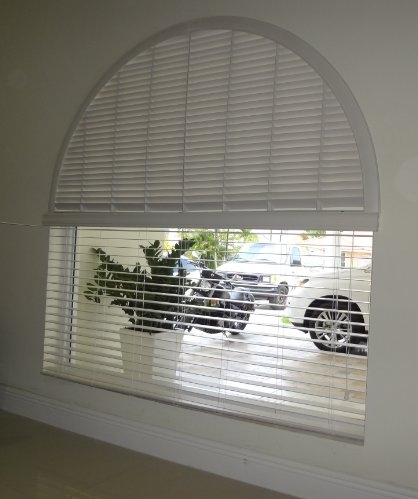 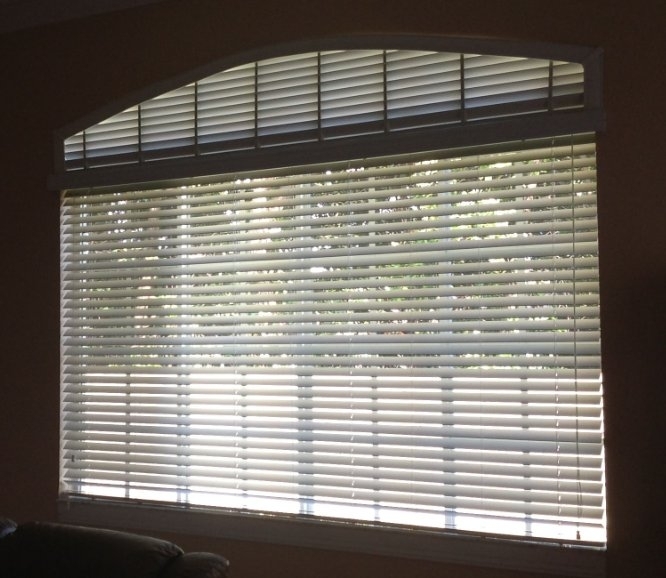 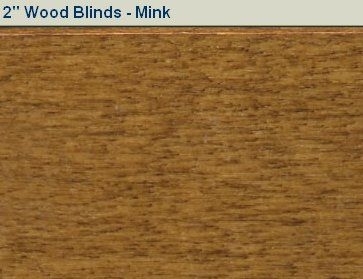 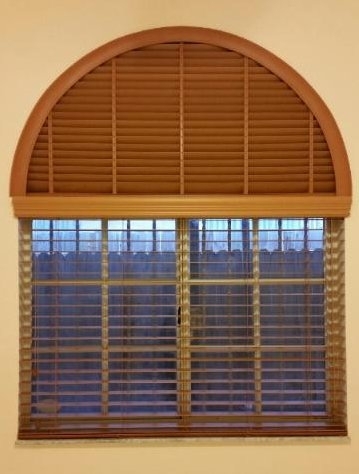 A great option is 2 inch real wood-fixed arch blinds. 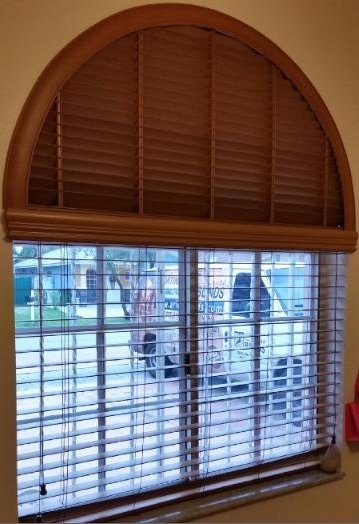 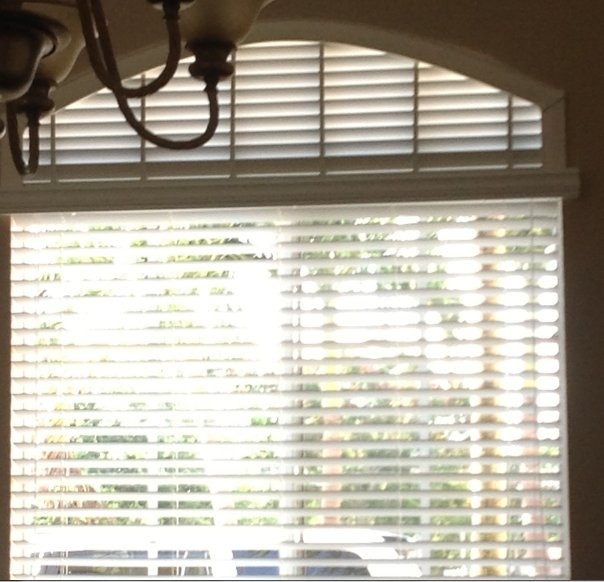 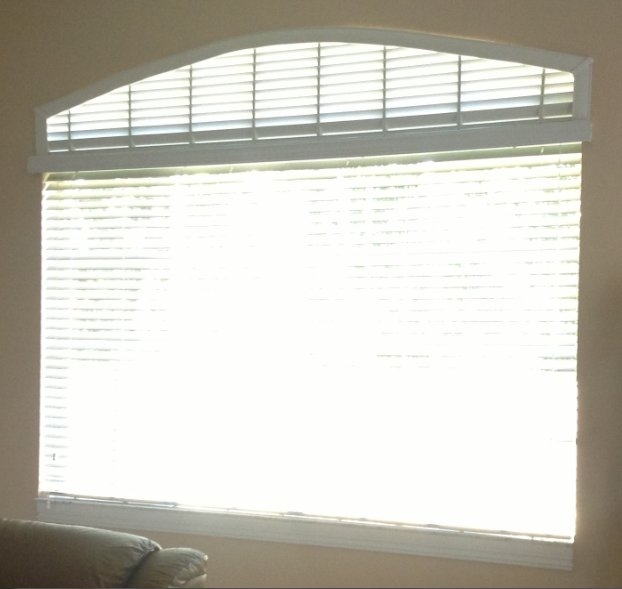 Usually the window arches are separate from the rest of the window and need their own custom blind. 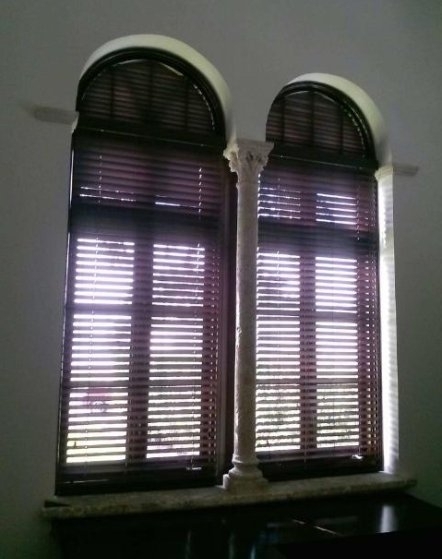 These blinds for the arched window are made of real wood 2 inch slates and come in a variety of finishes, including cherry, russet, oak, off white, sugar maple and white. 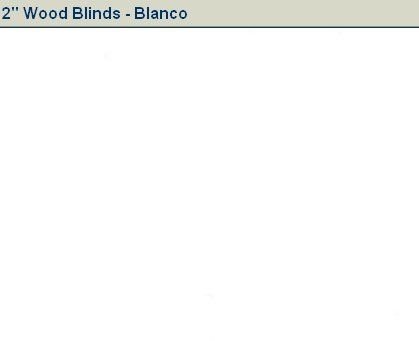 The slates are on fixed rods at a 45 degree angle facing inward and do not move. 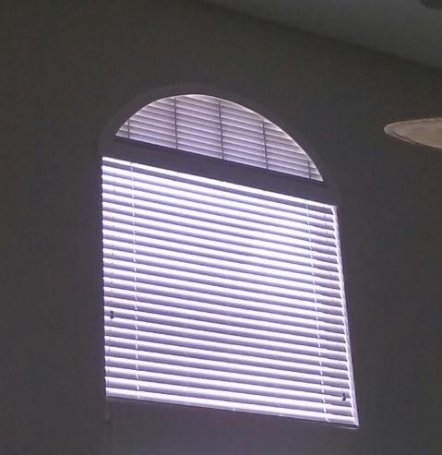 The angle is efficient for blocking out direct sunlight and because it is on the arch probably does not need to be adjusted for privacy. 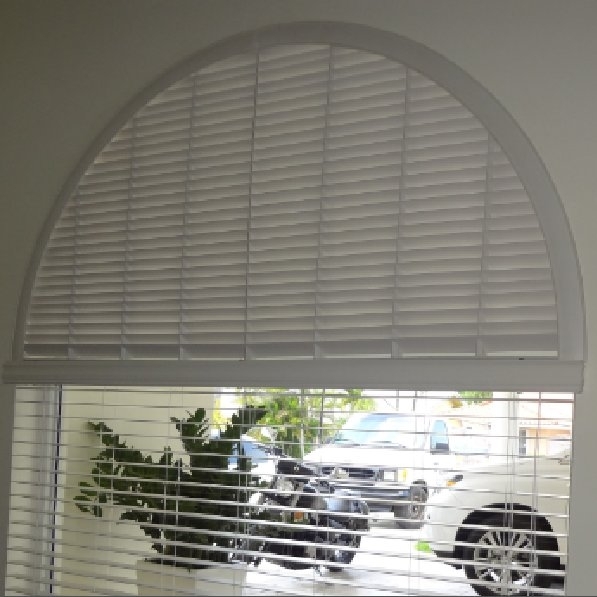 These arches can be customized with size and color to fit any window and match decor. 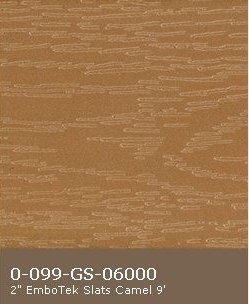 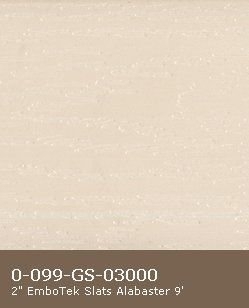 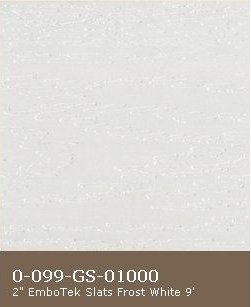 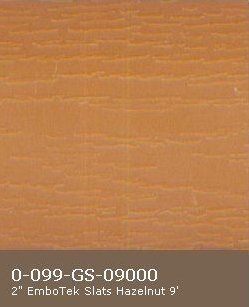 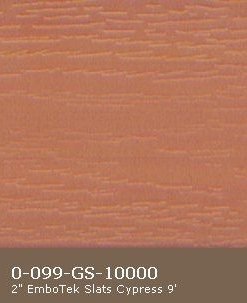 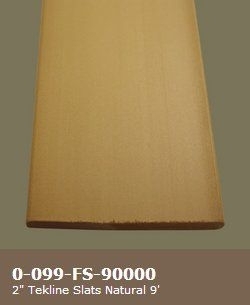 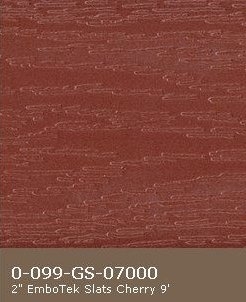 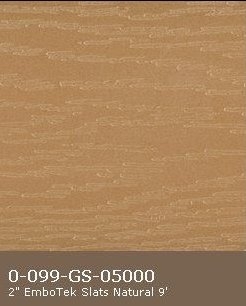 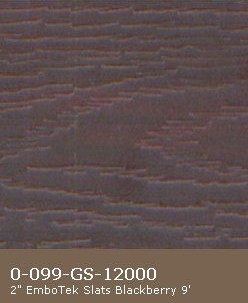 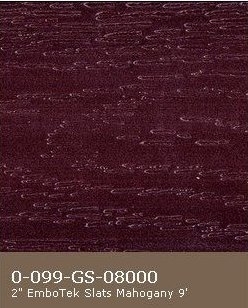 Color samples are available as well to check finishes before ordering. 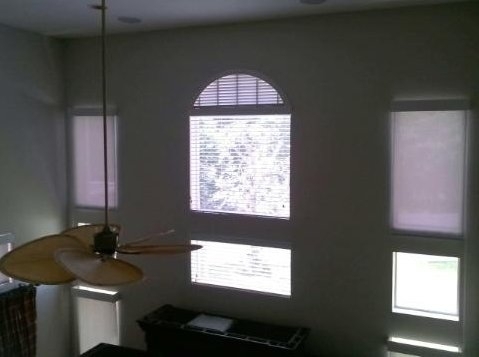 The same real wood blinds can be put on the windows below. 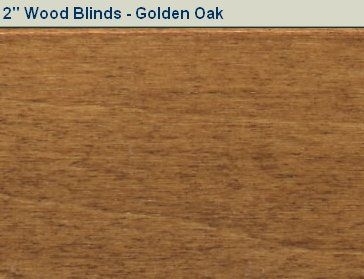 They also come with hardware and mounting instructions, as well as directions on how to make a template before ordering. 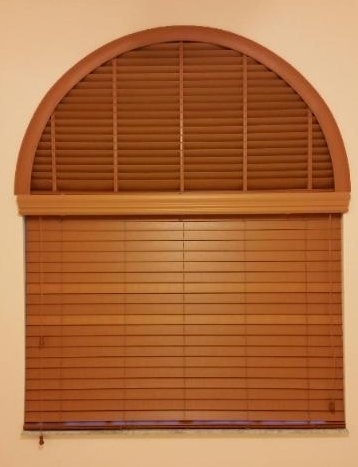 The better the template is, the easier it will be to get the perfect fit on the arch.